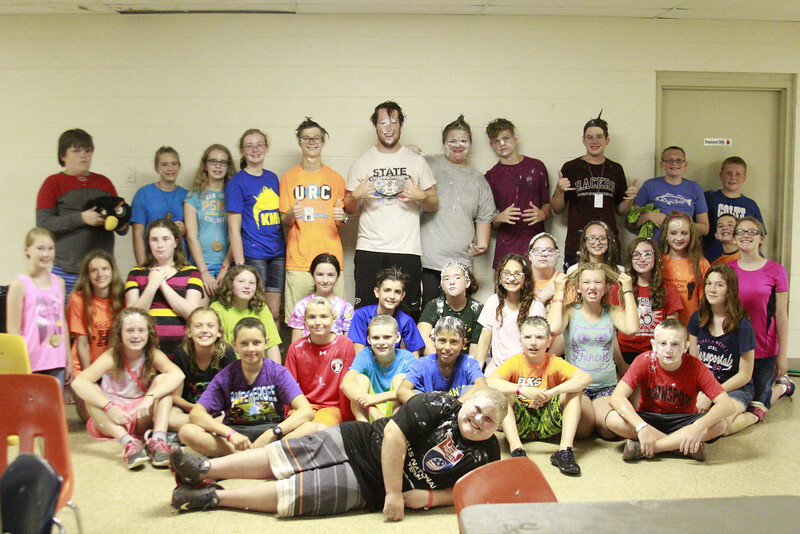 We are going to miss all of your campers, and we hope to see them again next year! Have fun with your sleepy children!! 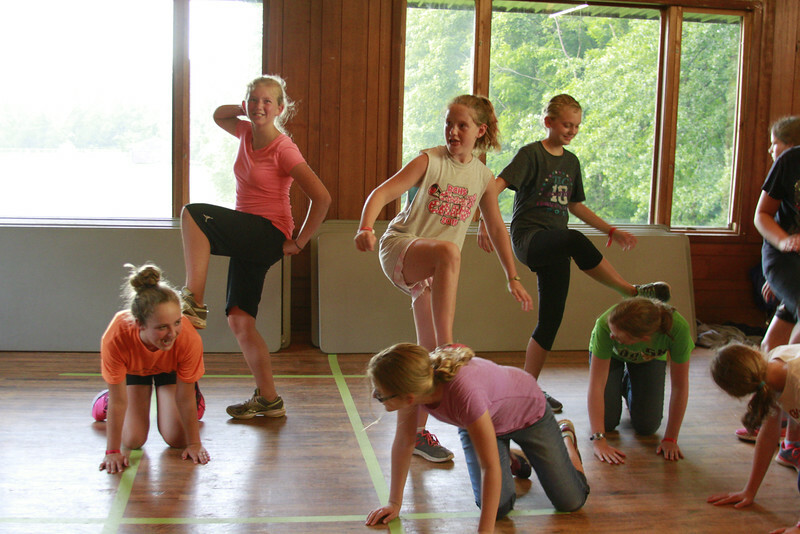 Even though we had so much fun this week the campers are ready to see you today! But, before that we have two more rotations of fun to cram in. 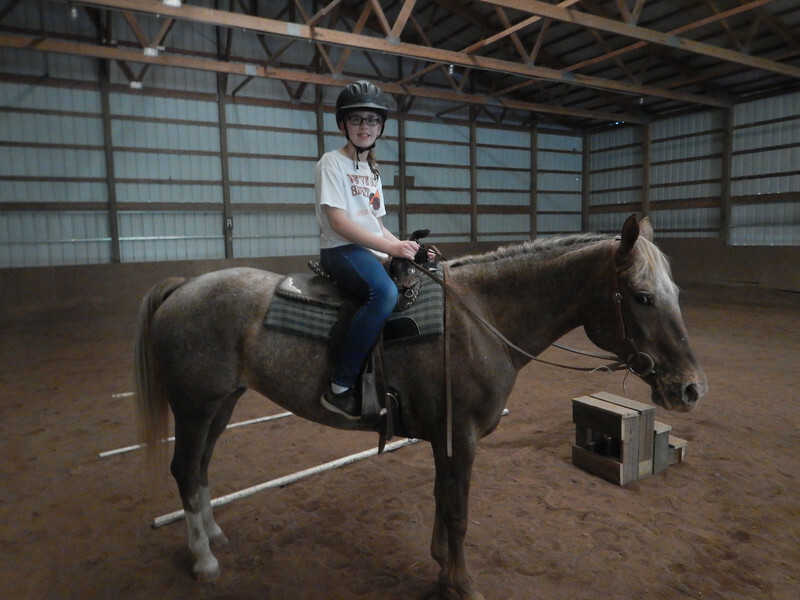 After a week of me talking about horses I finally got to the barn and it was amazing! 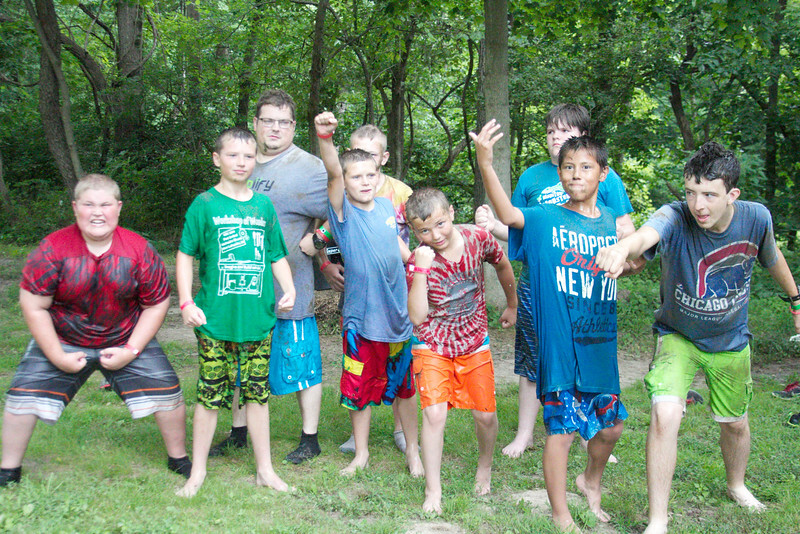 A favorite for lot of the kids was pool time! They got to swim everyday for about an hour before their second rotation. Tonight some of the counselors shared with the campers their testimonies, then the campers were given a choice to give themselves to Christ. Many of them went up to one of their directors and prayed. Even if they did not commit, or had already committed, they were given this chance to stand a little closer to God. 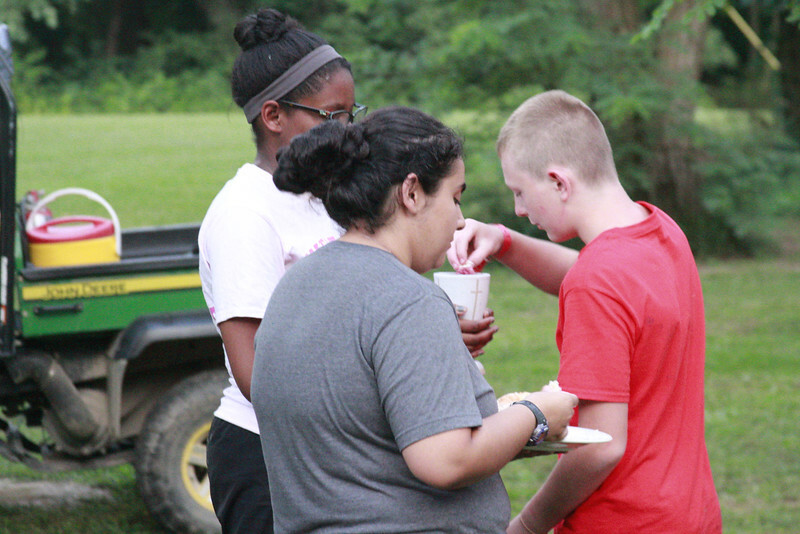 After given the chance to pray, an open communion was set up to all campers, counselors, directors, and even staff. We ended the night singing Amazing Grace. One of our evening games is called Redneck paintball. There are no guns, instead they get to throw paint covered cotton balls at each other. They tend to do a better job painting themselves than the other team. Goliath the Giant Swing is usually a favorite rotation. 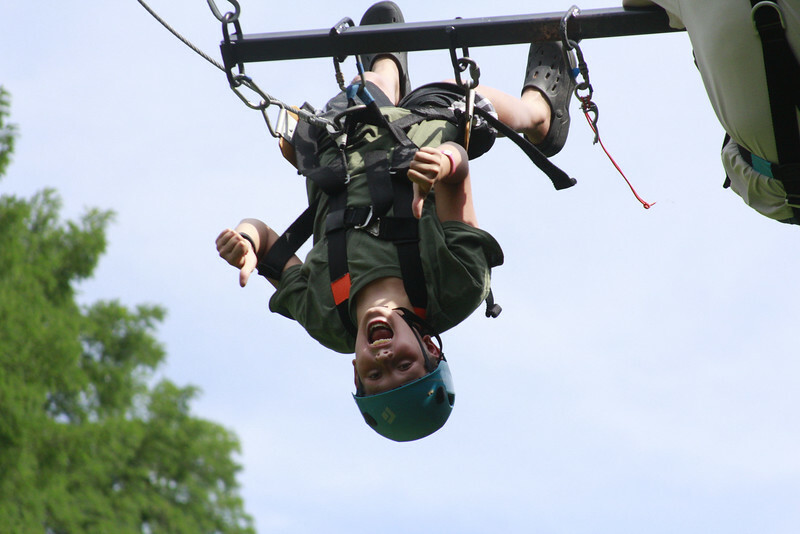 The kids are hooked to a metal bar, and the swing goes about fifty feet up in the air! The boys had so much fun; some even went twice! 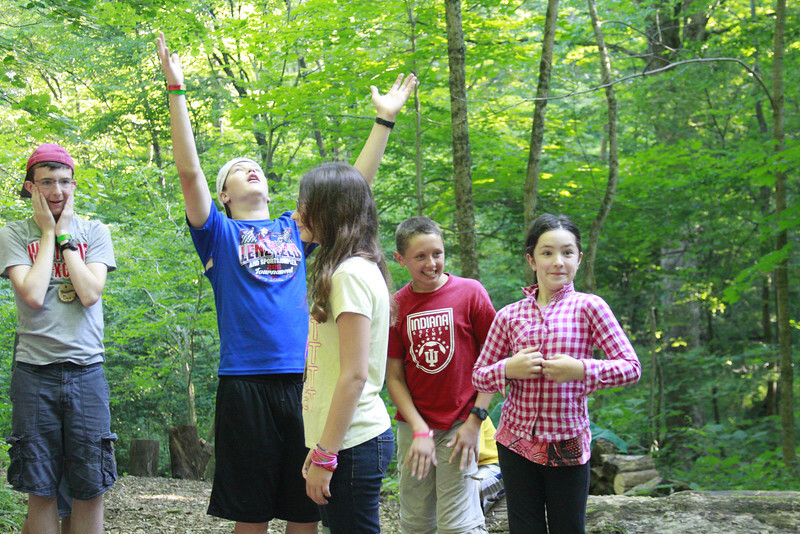 Starting on Tuesday each of the cabins were assigned a morning worship to sing songs for. They got to choose any two christian songs they wanted, and the result was very amusing. This morning we sang Jesus Loves Me and Christ is Risen. For worship tonight we took things down a notch. The Ark was all lit with candles, and there were stations set up all around the room for you to visit at your leisure. It was all silent except for the rain which made surprisingly good background noise. 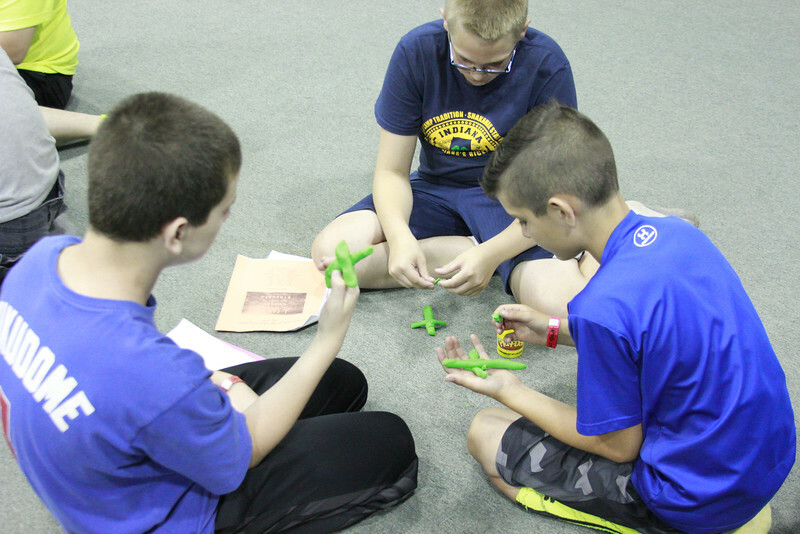 The mood was very serious, and the campers got to spend time praying over each station put forth. At the end there was a foot washing. 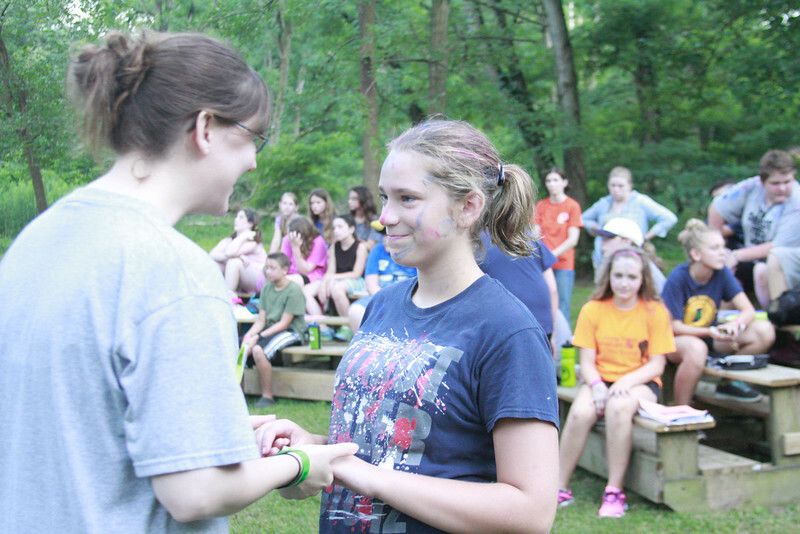 The directors washed the counselors' feet and, in turn, the counselors washed their campers' feet. No one came out of the room untouched by God! 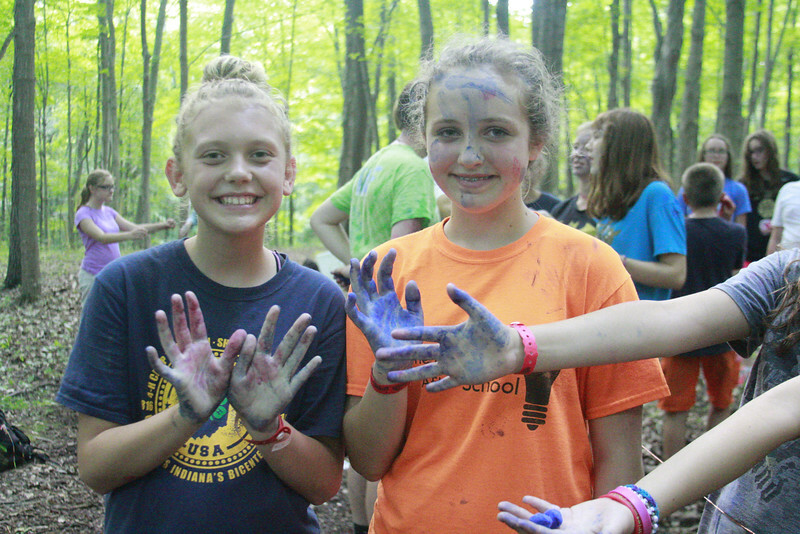 For the few hours of sun we had we went outside and played messy games. 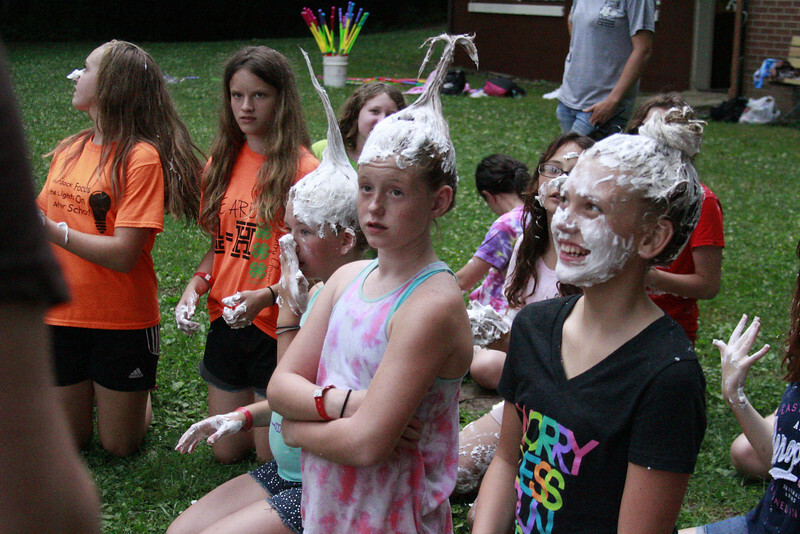 This included a messy hair contest. Now this eventually had to be brought inside, but that made it so much better! Rain will never stop us! We ended up setting up human Foosball in the basement of the dining hall. The kids had so much fun they were sad when it came for dinner time. For dinner we got to have an indoor cookout, if you follow me. 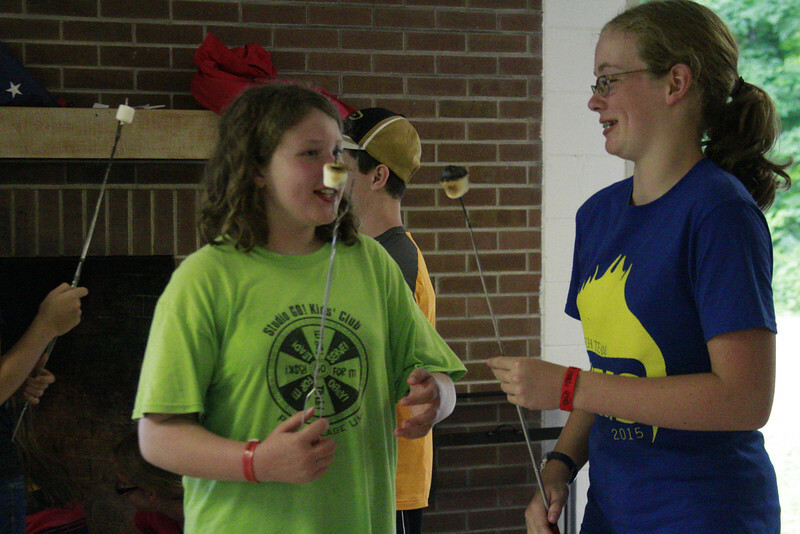 They roasted hotdogs and marshmallows inside over a fire; this does not make them any less tasty! For morning worship we heard a story about a centurion who came to Jesus on behalf of his servant. This centurion had so much faith in Jesus that he told him all he had to do was speak the word and his servant would be healed! This came along with a bit more acting. Just because we got some rain does not mean that the fun stopped. This evening after dinner we got to chill in the dining hall and play games like 4 square and spins n' sailors. 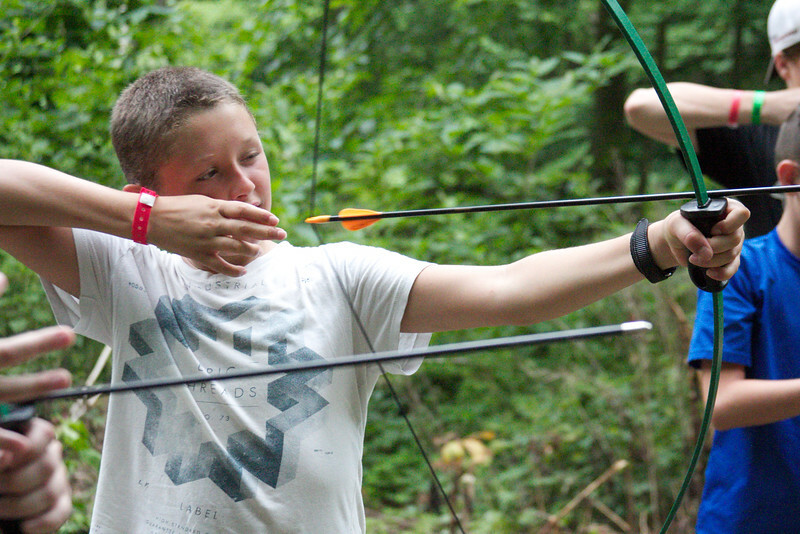 One of our boys cabins got to experience archery today, and they had so much fun! This was whilst the other boys ventured down the muddy creek and stopped me just in time for a silly photo! 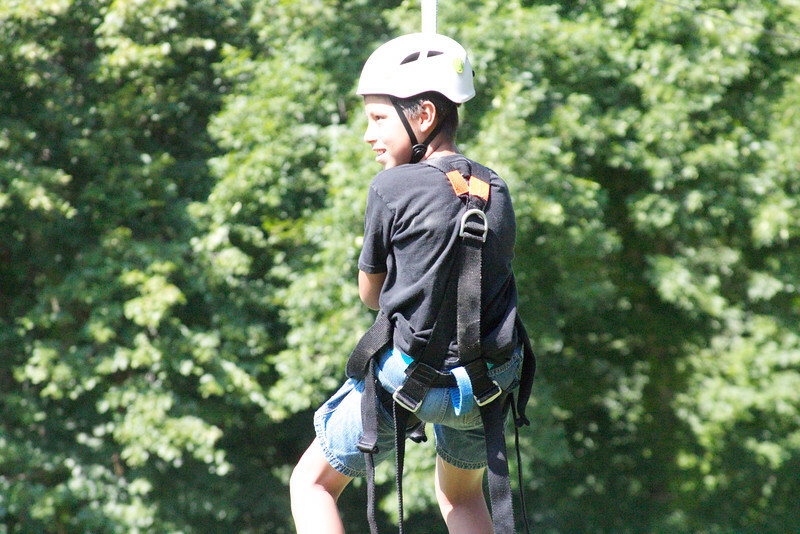 This morning we have a new activity called adventure ridge! 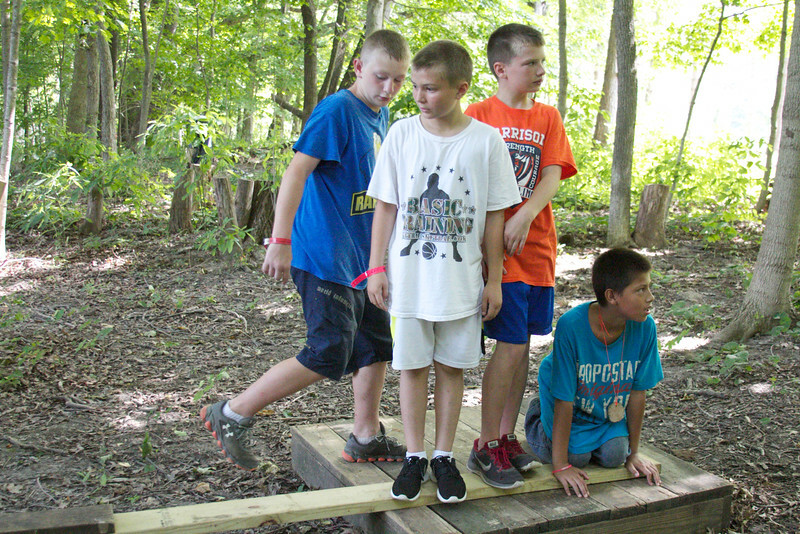 This is a combination of team building exercises that each cabin gets to do! The boys had a lot of fun this morning working through the obstacles. 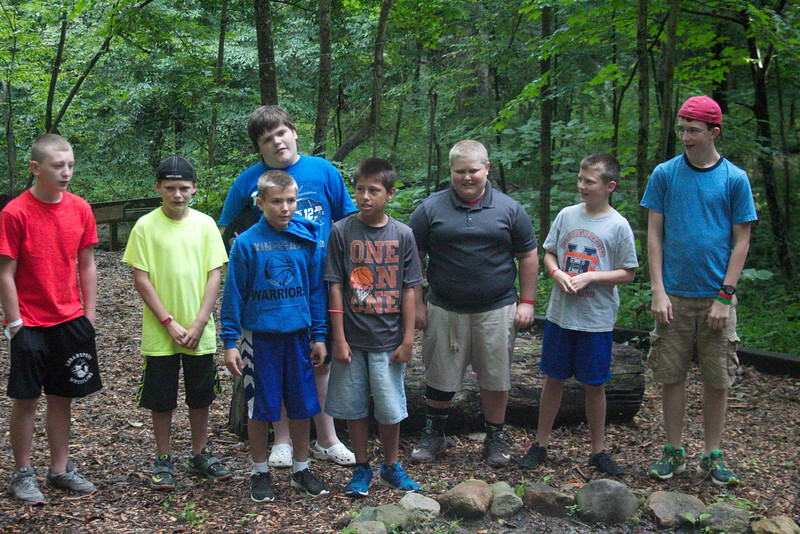 This group has been given a Bible memory verse that they should know by the end of the week. It is from 1 Timothy 4:12. Feel free to ask them when they get home! 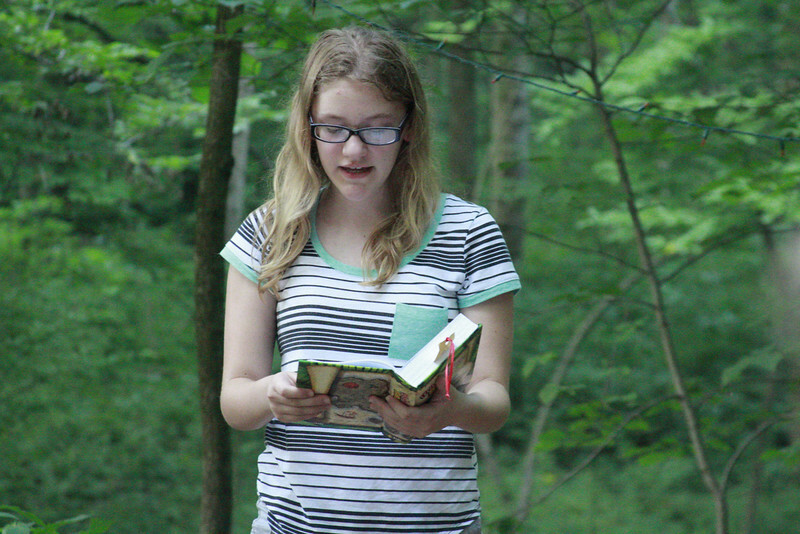 At campfire worship we heard all about burdens and God's word on them. 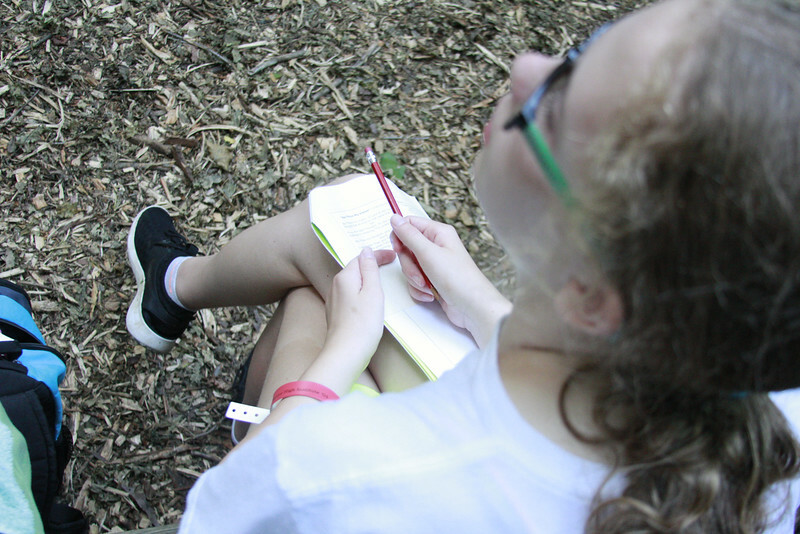 The campers got the chance to write down their burdens on a piece of paper and burn them in the fire. It was astonishing how serious they took it. 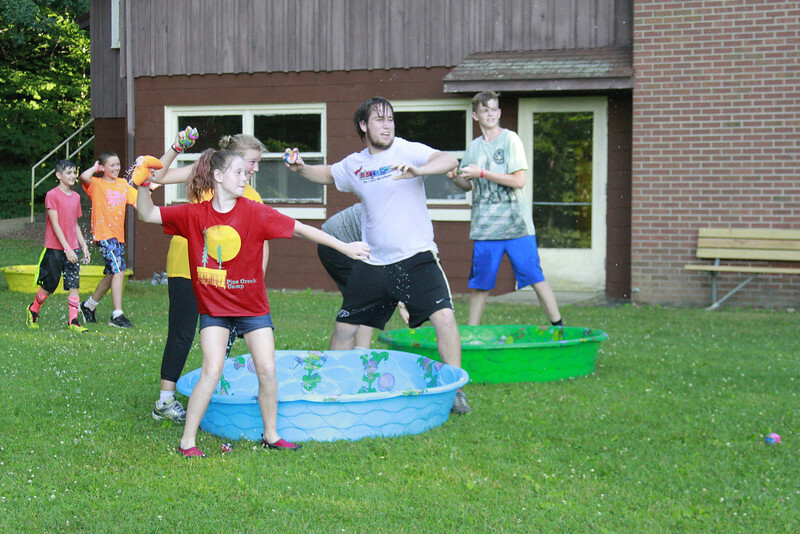 Tonight the theme was wet n' wacky games! 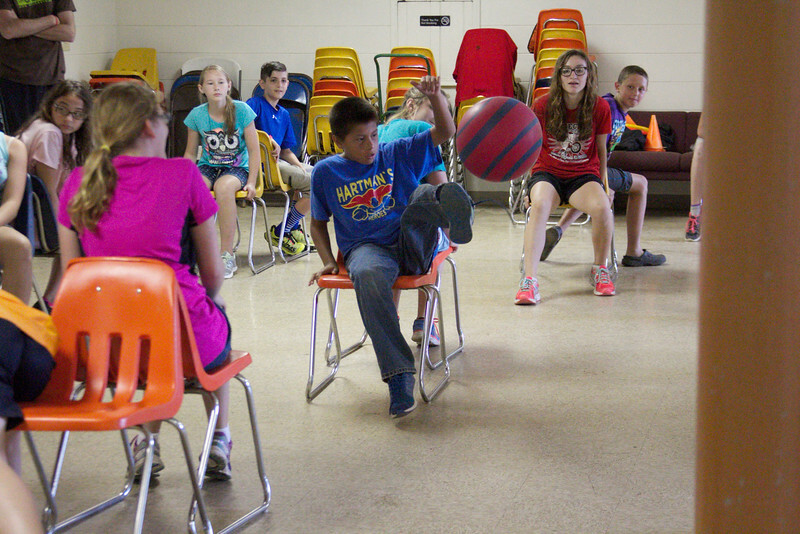 Dodge ball was the favorite game by a long run; we played almost five rounds, including campers versus staff! The kids showed no mercy. We were all out within a minute! 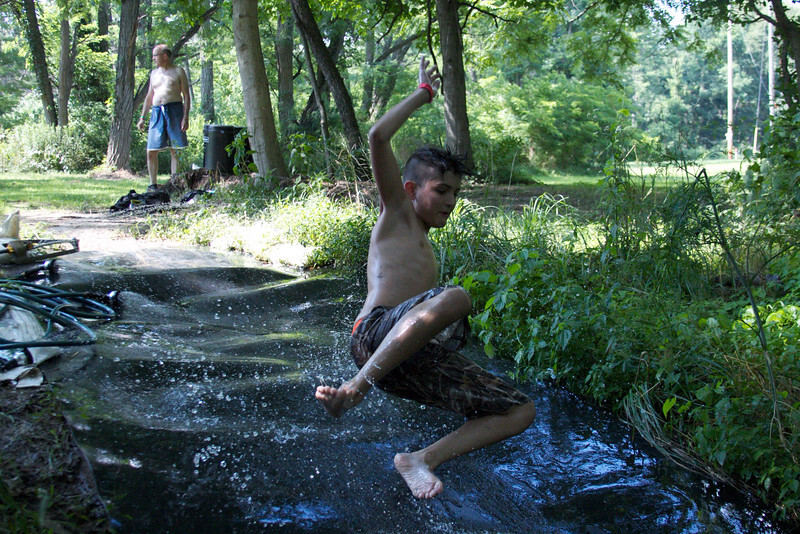 One of our rotations is the muddy creek and slip n' slide! The boys had so much fun seeing who could go the farthest down the slide! As our week of fun begins, so do our rotations. 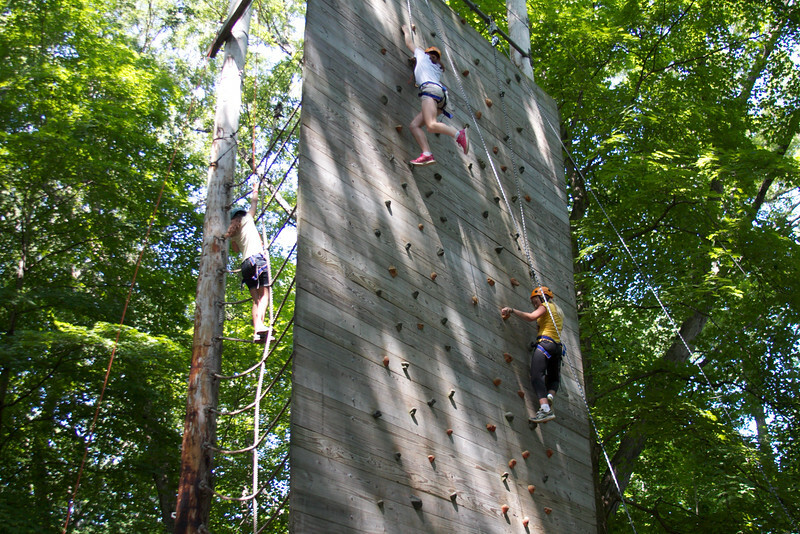 This morning all of the girls get to conquer Jacob's ladder, our climbing wall and vertical challenge! In the meantime, the boys were split between zip line and horses. It is very hard to say who had more fun! The worship theme of the week is superheros and how you do not need to be special to be super! 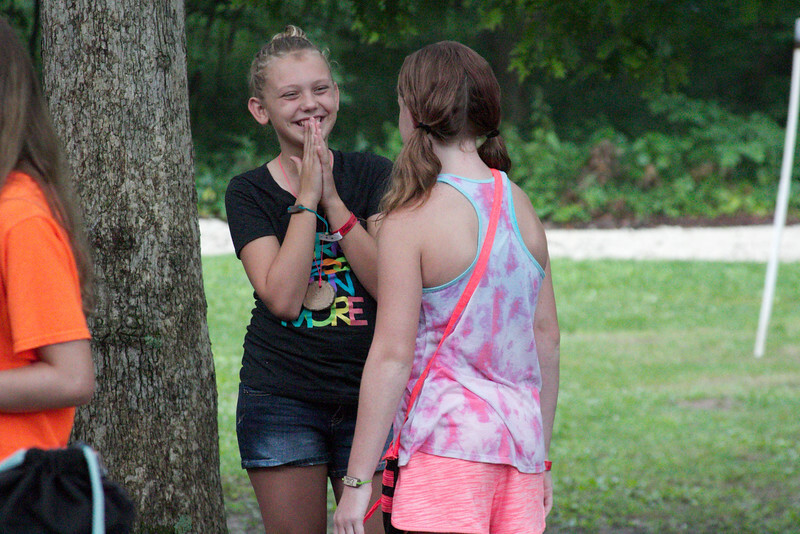 For morning worship we got to be outside and do a little acting to tell the story of a servant girl who was an unexpected hero. 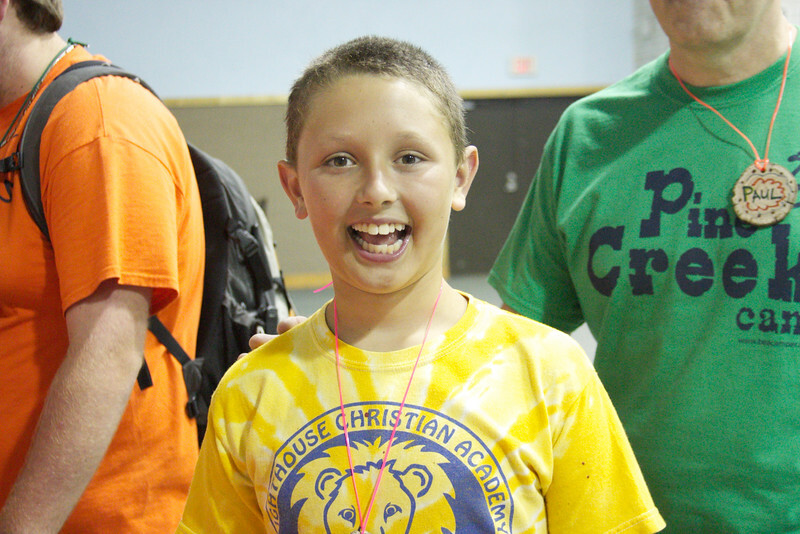 We are all so excited to spend this week with your kids! They are going to have so much fun here! 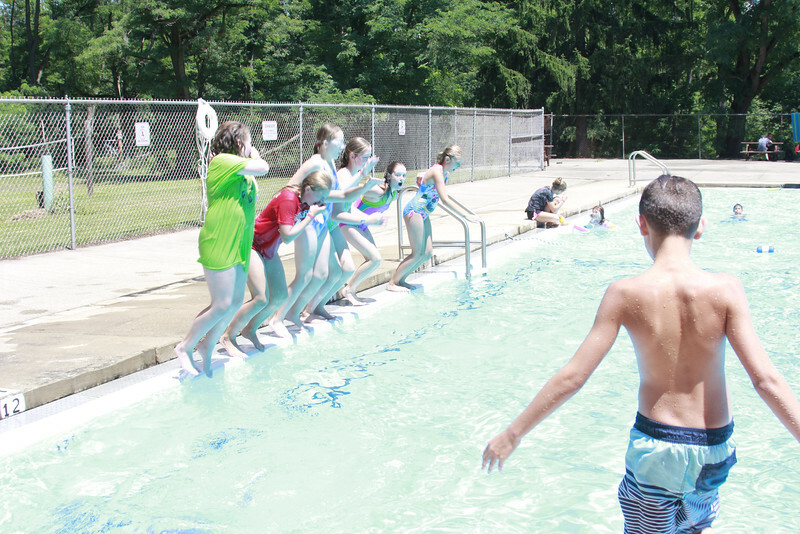 After dinner all the campers went down to the pool for swim tests. They just decide who gets to swim in the deep end. 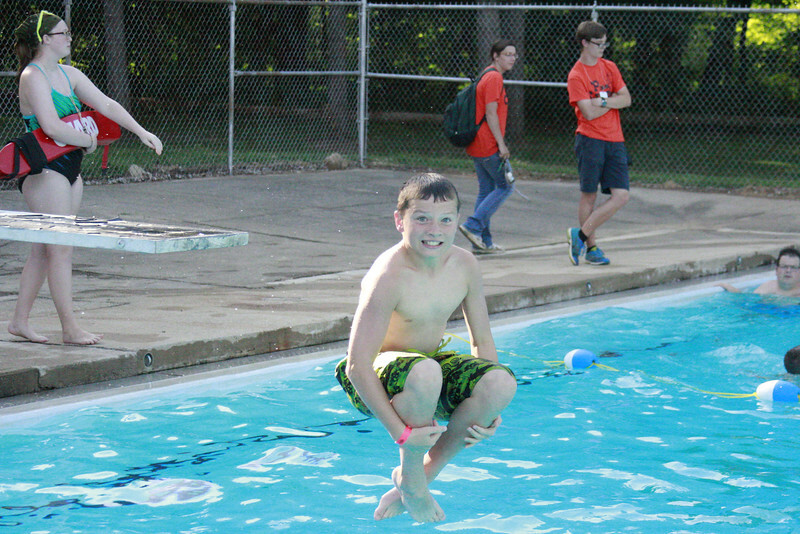 Everyone who passed is loving the diving board!